Boston, Massachusetts - February 7, 2017 /MarketersMedia/ — Best Boston Limo (http://www.bestbostonlimo.com) announces they are increasing their limo and party bus fleet by 75 percent in 2017 to better meet the needs of their clients. Individuals are sure to appreciate this, such as those who are planning a major event and wish to have someone else provide the transportation. A good example of this is those who are in charge of planning a wine tasting tour and want to ensure all participants remain safe. A party bus or limo is a good way to achieve this goal. A DUI conviction comes with severe penalties. Those convicted lose their driver's license for one year and may spend up to 30 months in jail, depending on the sentence they receive. Furthermore, penalties and fines ranging from $500 to $2,500 may be imposed on a person convicted of this crime, for the first offense. Subsequent convictions come with more severe penalties. "Don't ruin a fun event, such as a wine tasting tour, with a DUI. It's best to leave the driving to someone else, yet transportation isn't always available when it is needed. This is one of the many reasons we have opted to expand our fleet. We want to ensure we have a limo, party bus or car service whenever a client needs a ride," Blake Thomas, spokesperson for Best Boston Limo, explains. Wine consumption continues to increase in America, with 913 million gallons consumed in the country in 2015. This is according to statistics maintained by the Wine Institute and works out to 2.83 gallons per United States resident. Whenever a person chooses to consume any form of alcohol when away from the home, they should rely on a car service, party bus, limo or designated driver to ensure they return home safely. "A wine tour isn't the only time individuals may consume wine or alcohol and need transportation to remain safe. We service all types of events, including anniversary celebrations, casino trips, bachelor/bachelorette parties and more. 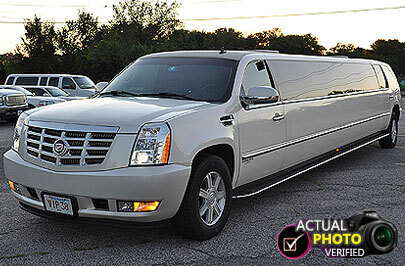 In addition, we work with those who need transportation to or from the airport, prom rides and more. All a client needs to do is ask, and we'll work to make their event special in every way," Thomas announces. Best Boston Limo caters to every transportation need of the city's residents. A client simply needs to let the company know what is expected at the time of booking, and the company works to accommodate these needs. The company respects the time of the client and offers on time service or the ride is free. Furthermore, their 12 year service record allows clients to feel comfortable with the transportation they are receiving.